Edgewood Student Ministry exists to help students Love God, Love Others, Know Christ, and make Him Known. 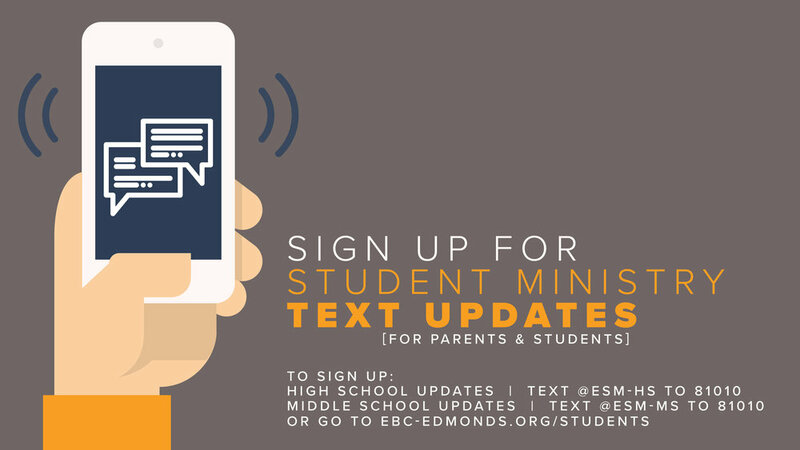 We'd love to have your middle and high school students visit us any Sunday or Wednesday! Sunday Evenings are the Main Service time for students. Join us for games, discussion, and a relevant message from the Bible each week. Our services are typically divided between Middle School and High School (with occasional combinations for special events). We begin Sunday nights in the gym area (around the West end of the building) at 7pm. New visitors are always welcome! We’d like to encourage students and their families to prioritize attending the Worship Services with the entire congregation on Sunday mornings. We believe that connecting with believers of all generations is of great value to students and their spiritual formation. In addition, we offer a Sunday school class at 10:45 as an opportunity for students to learn about God's word and share in discussion times with their peers. ESM! This Friday 6-9PM, is the night! Come with blankets and a creative mind or two! Excited to see you! Don't miss this Friday's event, ESM's Cook-Off! 6-9PM for $10. See you all there! Friday, March 23rd. Come and hang with us @edgewood_baptist_church for a movie! Come comfy with (appropriate) PJ's for a chill time together over a movie and popcorn.